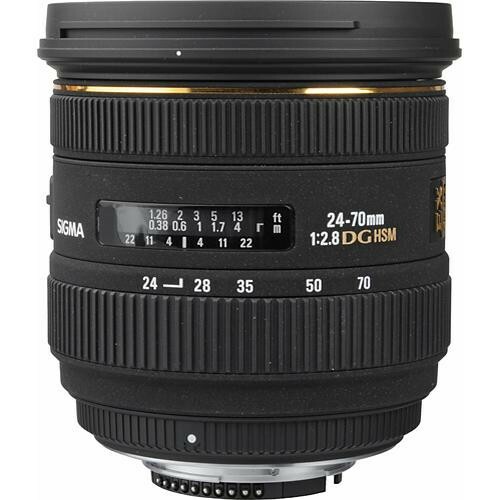 This lens has a great focal length range of 24-70mm and designed for full frame DSLRs. It directly competes with a number of Canon’s and Nikon’s 24-70mm lenses in terms of its performance and features. 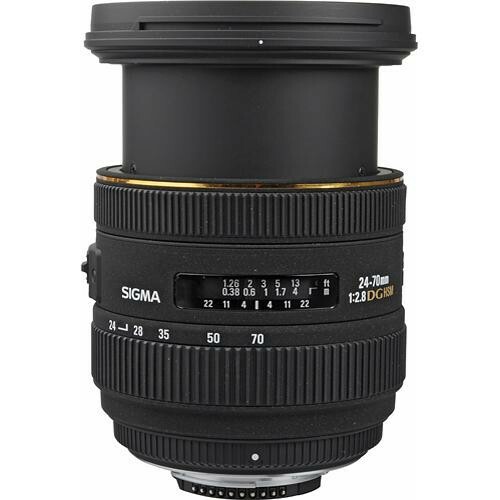 It features Sigma’s HSM (Hyper-sonic motor) which is a similar type technology to the USM from Canon and keeps the lens quiet during auto-focusing. The lens is designed for landscape, wedding and a general purpose lens for everyday shooting needs. It also serves as a great portrait lens and is suitable for most lighting conditions because of the f/2.8 aperture. The lens has a total of 14 elements including three aspherical elements, one SLD (super low dispersion) and one ELD (extra low dispersion) elements arranged in 12 groups. Sigma has also provided multi-layer coating on the lens to ensure that ghosts and flares are suppressed to a large extent. 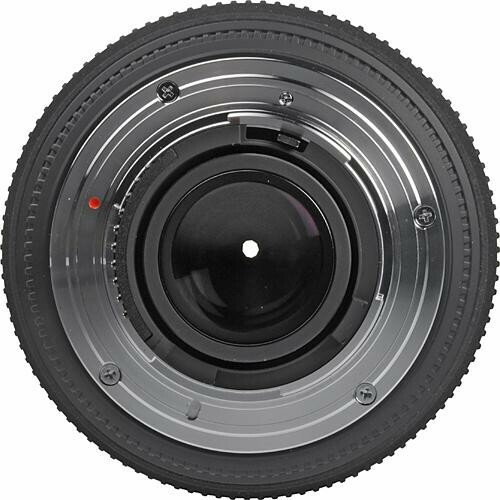 The diaphragm of the lens is made up of 9 rounded blades giving it a maximum constant aperture of f/2.8. However, it can stop all the way down to f/22 as well. The rounded blades are also responsible for the purpose of creating a beautiful soft bokeh. At only 15” the lens has a very close focusing distance and a maximum magnification ratio of 1:5.3. 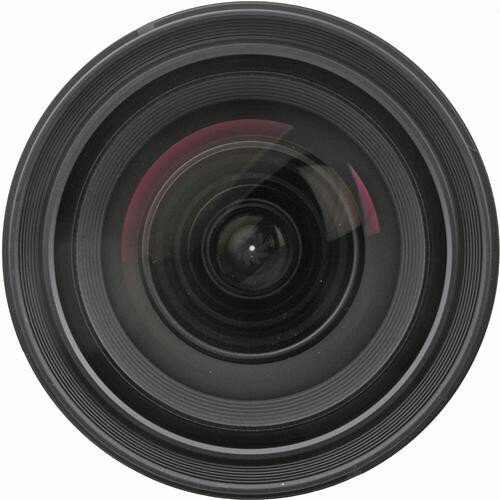 The angle of view of the lens is 84.1-34.3.